Dumb Type is a group of artists comprised of members with different backgrounds such as video, visual art, architecture, design and computer programming. Since forming in 1984, they have presented multimedia performances and installations, while always changing the forms of expression and leaders within the group for each project. 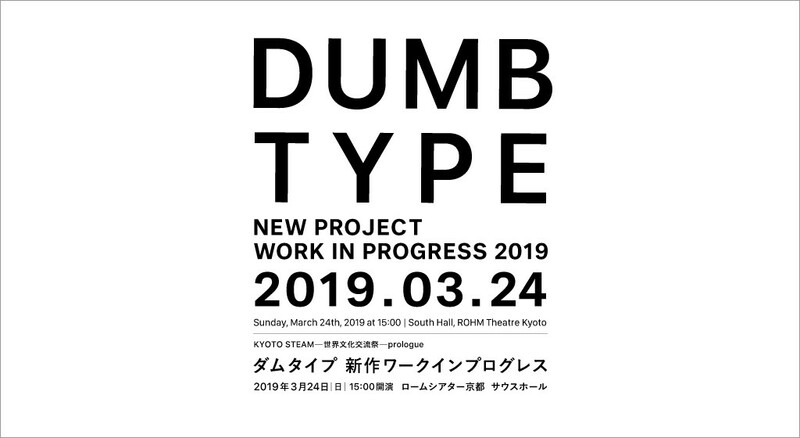 This time they present a part of the production process of their new work (scheduled to be presented at KYOTO STEAM -International Arts × Science Festival- 2020), the first since Voyage presented in 2002. Formed in 1984 and comprised of different artists working in various fields such as visual art, video, computer programming, music and dance. While based in Kyoto, the participating members change for each project and their multimedia art, presented both at home and abroad, transcends existing genres and forms of expression. Last year the solo exhibition “DUMB TYPE: ACTIONS + REFLEXIONS” was held at Pompidou Centre Metz (France) from January to May.